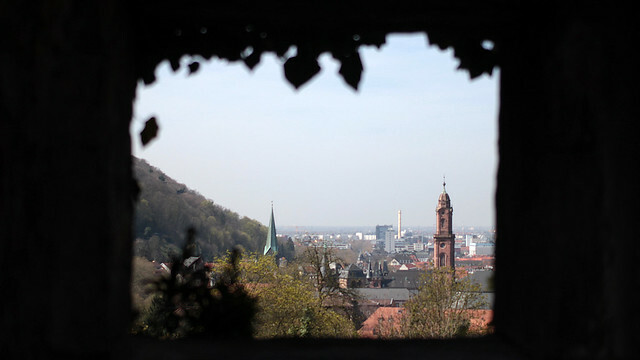 The ruins of the Heidelberg Castle perched romantically to overlook the Altstadt, surrounded by forest and park. 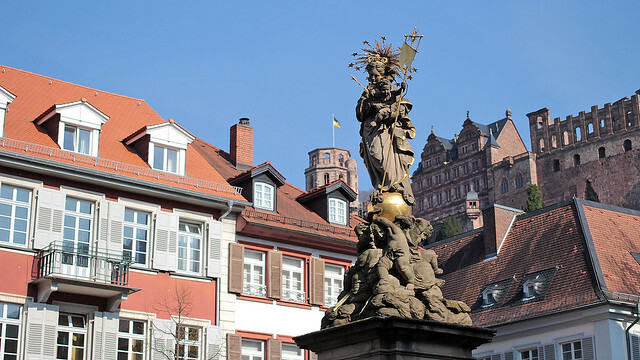 First built in the 1200s and successively expanded by Palatine prince electors, it was through French hands that it fell rather thoroughly in the late 1600s, burned and blown up during the course of the Nine Years War. 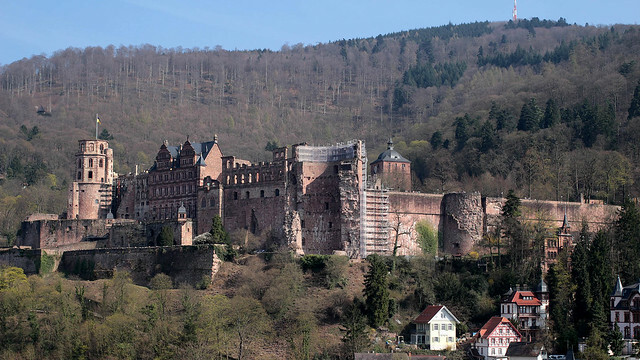 Subsequent attempts to reconstruct the castle was hampered by financial difficulties and fires caused by lightning strikes, the latter taken as an omen from heaven that the Palatine court should not return to Heidelberg Castle. And thus, a well-loved ruin is born, no doubt helped by beautiful descriptions written by Victor Hugo and Mark Twain, among others.